You are currently browsing the tag archive for the ‘Inbal Segev’ tag. 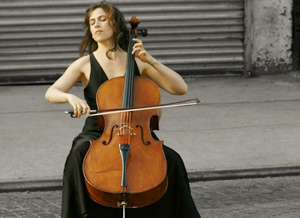 On Saturday, September 21 at 8 PM in Youngstown’s DeYor Performing Arts Center, Inbal Segev will give the Ohio premier of Avner Dorman’s Cello Concerto with the Youngstown Symphony under the direction of Randall Craig Fleischer. The concert also includes Glinka’s Overture to Russian and Ludmilla and Beethoven’s Symphony No. 7.